The last time I changed jobs, it was about this time of year—bitter late January, with temperatures hovering around zero. On my first day of work, I drove in and double-parked in front of my downtown office building so I could carry my things into the front hall. I brought my planning books and family photos and light-rail posters and my one glorious plant. 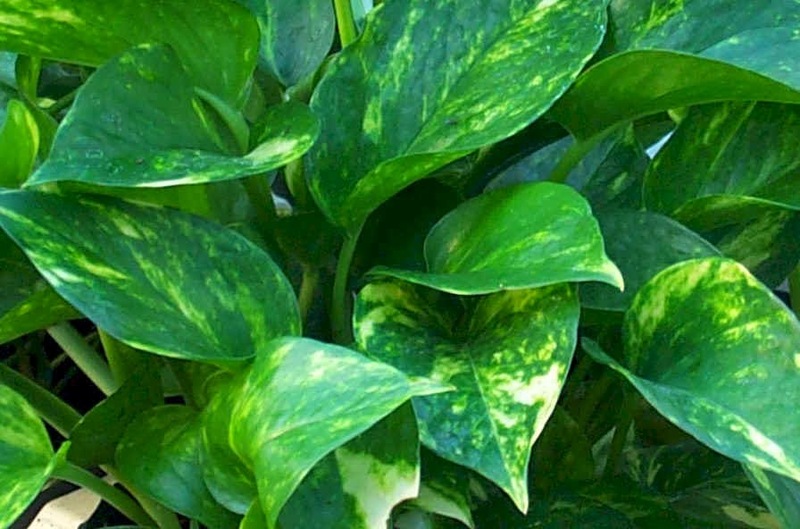 It was a typical office plant, Golden Pothos variety. Under the fluorescent lights at the U of M it had flourished and the vines hung thick with leaves and cascaded down my shelves. I wanted this in my new office from day one. To this day I can’t explain why I didn’t wait until more moderate temperatures arrived. As I carried the plant in, I could see the leaves freezing before my eyes. They turned a deep shade of green, crystallizing before me. I ran up the stairs into the front lobby, but that short journey from my car to the front door was too much for my poor plant. I inspected it in the narrow elevator and set it on my desk; I had no choice but to cut away the limp parts. I tried to keep as much as I could, but as the warmth of the office kicked in the leaves turned to watery mush. I trimmed and trimmed it back until it was nothing but a network of dense stems and one large, surviving, untouched leaf. I remember my first few months in that job, trying to get a handle on the work load and vibe, trying to see where I fit in, what I could add. I recall an early conversation with my new boss, how he characterized a nearly lifeless suburban town center—“it’s about as vibrant as that plant,” he said, gesturing to my former beauty, and I felt stung, as if he were speaking of me. Changing jobs is like that, pruning back your glory, when you discover that all the inside info and go-to expertise you once held is no longer the local currency. You are hanging by a thread, trying to make the most of your one leaf, trying to catch all the stray sunlight and nutrients and hope you sprout a few new ones soon. I think of that plant sometimes when I feel especially pruned back and bitten to the quick, shorn of all extraneous show. There’s little left of me here, and I feel it in new encounters, meeting people for the first time, bracing for the inevitable question, “So what brings you to Berlin?” When the answer is and can only be, at heart, “My husband, his sabbatical,” most people follow up, “Yes, but how do you spend your time?” At a recent dinner party with a roomful of gracious academics I answered that I row, relying on this activity as a foothold on the slippery slope of self-definition. Rowing is uncommon, it provides a visual image of grace, I think, and it links me to the Wannsee, a place Berliners want you to visit but assume you haven’t. In the right setting, it affords me a way in to the conversation. That evening M was quick to add, “And she works, and she’s writing a blog about Berlin,” producing murmurs around the table, and I was almost surprised to hear these things and the tone of pride; I thought, I do all that? As if I had sprouted a few new leaves when I wasn’t looking. “You’re hard to get close to,” I was told by a German friend last night, and I felt all my failings in that moment, wondered how this could have happened, though I knew what she meant. Those that I let in at some point are always in thereafter. I thought I was like my father who once said, “What you see is what you get with me; I’ll give you the same answer whether we know each other or you’re a stranger,” and I told him I thought I was the same, but even as I said it I doubted its truth. Now it strikes me as a remarkably American sentiment, an openness from the get-go. I suppose I instead let people in gradually, make it a slow reveal; I feel no need to give the best-friend answer when we’re just getting chummy. We made new friends at an art salon in a packed Charlottenburg apartment last weekend, a couple who sang a sweet duet in German and French. Discovering we had a friend in common cut through layers of propriety in a few short sentences and exclaims at the coincidence. Shared disdain for an outrageously pompous pianist who was flitting about the room made us shiver with laughter, but I felt myself holding back, wanting this friendship to find solid footing, trying not to tip all my cards. Sometimes I have done so and regretted it when I run into the person a second time, feeling unable to progress, having said too much the first. I crave the next chance to socialize but there are inevitable stretches of quiet. Sometimes the space between the interactions is welcome, reflective, and productive; other times it is bleak. The days when I don’t have to leave the apartment strike me as delicious at first, no need to dress for anyone, just be comfortable at home, but some days disintegrate when I find myself pulling my clothes right over my pajamas in the late afternoon. Somewhere in the balance the stems creep imperceptibly toward the light, new leaves forming and unfolding when no one’s looking. This entry was posted in Sabbatical and tagged Berlin, changing jobs, Charlottenburg, plant, Rowing, Wannsee on January 28, 2014 by Jill M..
“the slippery slope of self-definition” – what a wonderful expression. This text is beautiful. thank you, Hanna. I thought of you many times when writing this piece. Jill, it strikes me that as I read your blog today, I am sitting in the same building you are likely speaking about on a cold, cold morning in Minnesota. I have a very graphic mental picture of your plant on that day. I can see you walking up and down the same staircase I walk most mornings. A rather eerie thought to me today! Yes, you know the very place I’m thinking of! I’m sure you know it better than I do by now. Oh, I know that bitten back feeling! I think that people ask what the spouse does out of a kind of kindness, trying to show they assume you have a life of your own, and I can remember how many times I wished people wouldn’t ask, wouldn’t try, would just take my previous answer and move on. Your description is spot on. Thanks, Merie. My attempt at describing what it’s like to be a “trailing spouse”. I’m glad you find it rings true. Thanks, Kristen! Greetings from Melbourne! I’ll give book club some thought — I’ll certainly come visit you all after I’m back. Stay warm!